In January 2018, the C4ET-team met in Radolfzell at Lake Constance, Germany. During the meeting came an outstanding opportunity to interexchange with two other European projects. The first one deals with Triggering Sustainable Biogas Energy Communities through Social Innovation (ISABEL). The second one is on Community owned and led energy for security climate change and employment (COALESCCE). 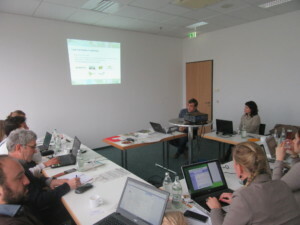 Both projects are being coordinated in Germany by the Lake Constance Foundation. The project partners found several connecting factors and are going to interlink the projects.